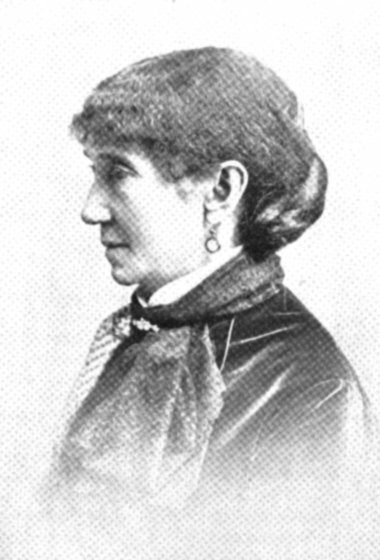 Mary Jane Holmes is one of literatures "Forgotten Ladies." In the pantheon of Forgotten American Authors, Mary Jane Holmes (1825 - 1907) stands front and center. She was a very popular author during her lifetime. Sales of her first novel Tempest and Sunshine (1854) started off slowly but gained momentum ultimately selling 250,000 copies and earning an 1866 reprint. While that novel would remain her most popular, Holmes old over two million books during her lifetime -- second only to Harriet Beecher Stowe. So what happened? How did one of Americas most popular and more prolific authors from the late nineteenth and early twentieth century "disappear" from popular reading history? Sadly, it seems to be the case that so called critics and guardians of taste -- mostly men -- diminished her work for being too sentimental and for appealing too much to the "common" reader. Yet the truth is that Mary Jane Holmes dealt artfully with difficult issues including race, gender, slavery, class, and the American Civil War. The American Literature web site is please to draw attention to Holmes' work, and hopes it contributes in some small and modest way to a re-appreciation of a once-esteemed great American Author.